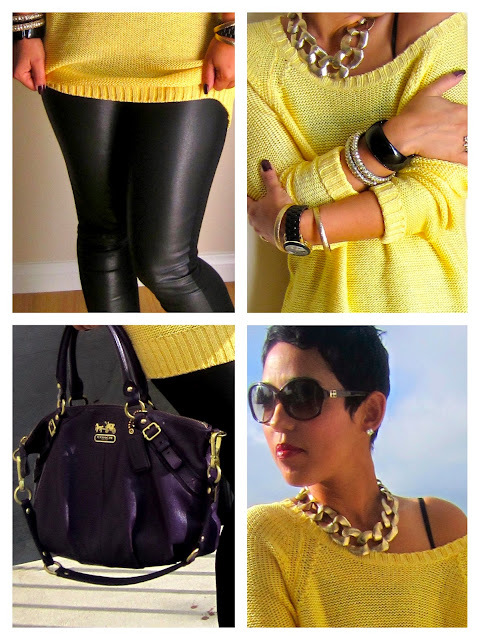 Love that bag and the brigth yelloe sweater!! Love this - and that beautiful blue sky behind you! yellow and black looks so great on you. Love the necklace I need it in my life ! !